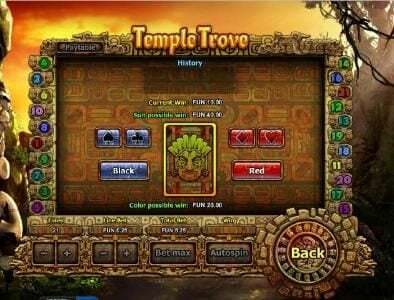 Temple Trove Slots has not been reviewed yet, be the first to rate this slot. 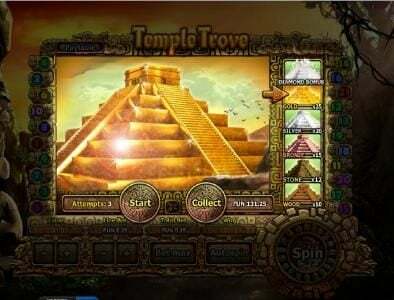 Maya Pyramid slot has 5 reels and 21 paylines. This game was created by Viaden and it has a top jackpot of $500, or 10,000 coins. The features of the game include scatter and wild symbols. 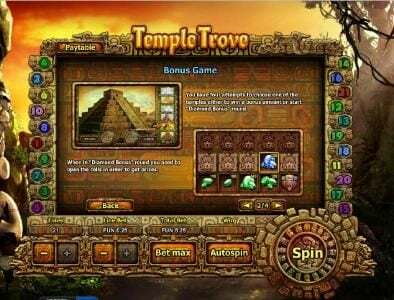 The Mayan civilization is the focus of this slot, but the graphics are not necessarily representative of the theme. The background at least is not Mayan related, so the one thing that makes this a slot with a Mayan theme is its symbols. 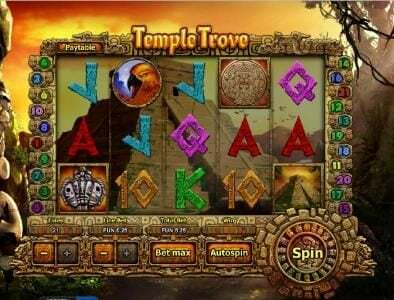 Among these symbols the player finds a Mayan Queen, a Chief, tigers, eagles, horses, dragons and temples. There are also playing cards symbols present, between 10 and Ace. 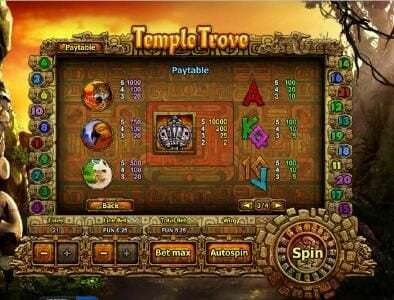 The player can bet a maximum of 21 coins during each spin of the reels. The coin value starts at $0.01 and it can go up to $0.05, with the betting range of the slot going from $0.01 to $1.05. With a maximum bet of a bit over $1, its top jackpot couldn’t be too high either, so it sits at $500, which is the equivalent of 10,000 coins at the maximum coin value. The wild symbol present in the game uses the image of a Mayan Queen. This is a wild symbol that expands to cover the reel when it shows up. It will substitute for various other symbols, with some exceptions, helping the player get a winning combo. The second big symbol in the game is the scatter, which is represented by a Mayan Chief. 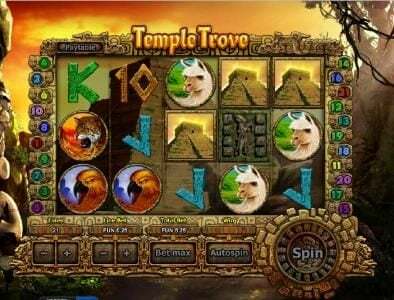 If at least three scatters appear, the player gets a cash prize. The minimum number of scatters will bring a prize that is double the bet, while four scatters will pay ten times that initial bet and five scatters will give a prize that is 100 times the initial bet. 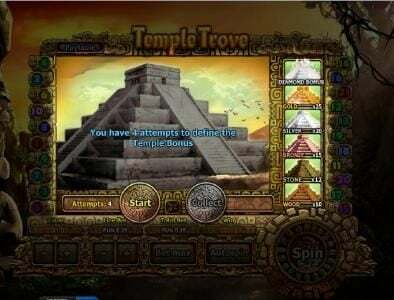 The third feature available in the game is a bonus round, which can be activated if a minimum of three Pyramid symbols appear somewhere on the reels. During this Bonus round the player can wish for a prize, and he gets the option to keep the current prize or to ask for another one. Only the last wished prize will be kept though, so if you’re too greedy you risk losing a big prize for a smaller one. It’s not an impressive theme as far as graphics go, and the features are not too rich either. 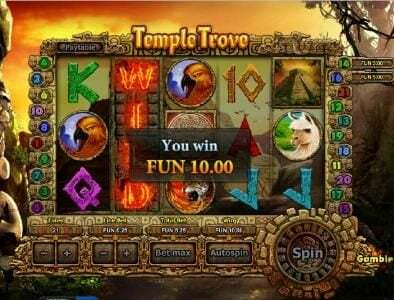 It is however a penny Slot, a good option for anyone that wants to spend as little as possible during each spin.